Xiaomi has started rolling out the MIUI 9.2 update to its best selling budget smartphone, Redmi 4A. It was released back in March 2018 with MIUI 8 based on Android 6.0 Marshmallow. The company didn’t announce anything before about this update but recently started rolling out the update. 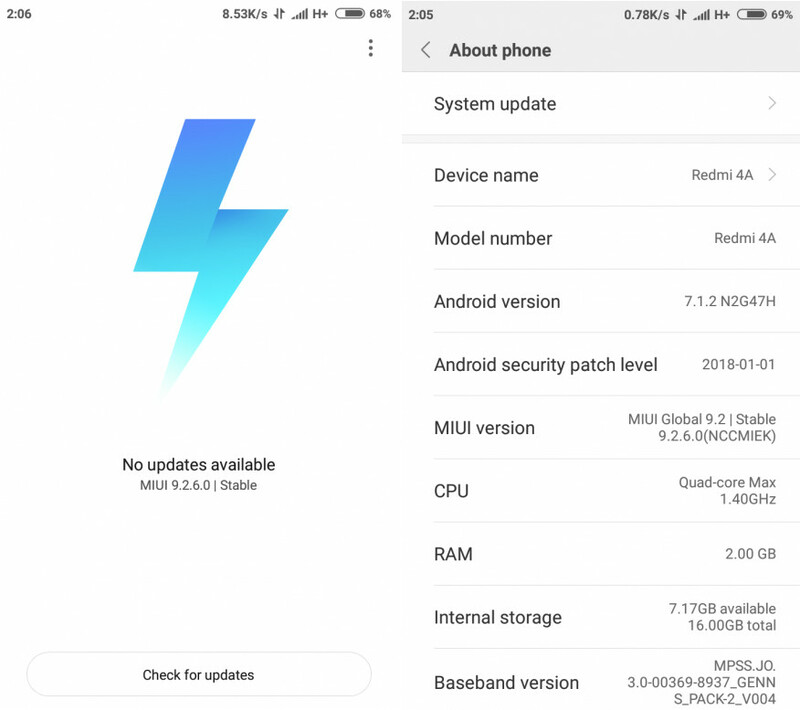 The beta update of MIUI 9 based on Android 7.1 Nougat was released previously and now a stable update is being rolled out to the Xiaomi Redmi 4A. Redmi 4A was the only smartphone which was launched in 2017 that was kept in the third batch of the MIUI 9 update rollout wave. It was supposed to receive the MIUI 9 update but Xiaomi then decided to skip this update and provide the MIUI 9.2 update directly to all the third batch devices. Some Redmi 4A users reported that they are receiving the Android Nougat based OTA update as a nightly build on their smartphones. The new update is coming out as MIUI 9.2.6.0.NCCMIEK and the size of the update is 1.3GB. It finally brings the Android Nougat to the smartphone along with the January security patch with lots of changes in the user interface. Some of the new features include – system animations, split screen, quick switch, new gallery app, calendar cards, app vault, Mi video app, Mi explorer, screen recorder, Mi drop and much more. Xiaomi releasing the Android 7.1 Nougat based MIUI 9 to Redmi 4A brings hope to other Xiaomi’s budget smartphones as well to get this update. Check for the update on your Xiaomi Redmi 4A by going to Settings > About device > System update.